It was not known as Le Mans Crescent until Bolton was twinned with that town in the 1970’s. Prior to that it was simply The Civic Centre. It housed a lot more than just Museum and Library – Magistrates Court, Central Police Station and Health Dept to my certain knowledge. 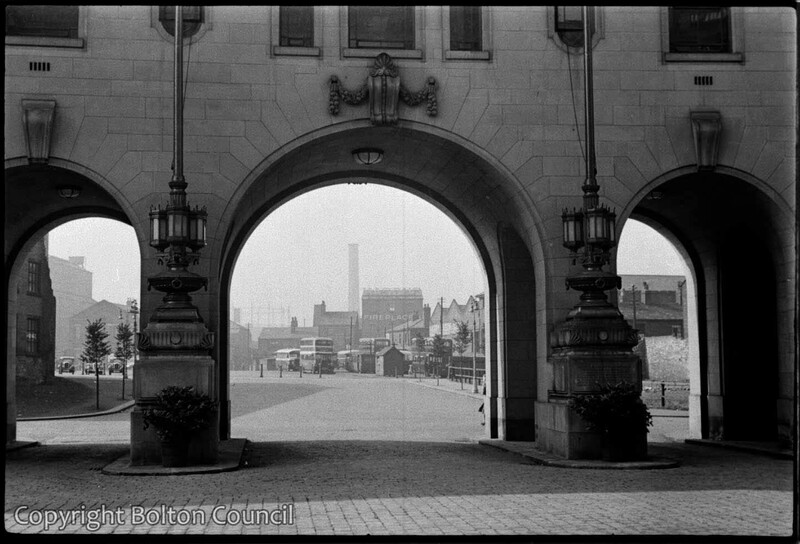 The bus station occupied the southern area of this space, the northern area (seen through the arch) was used for the New Year fair.